Epic! It isn’t often that one word can sum up the screening experience of a movie, especially when going into the film, one had lots of hesitations that stemmed from the questionable trailers. Prepare yourself for the heaviest of the X-Men movies future or past. Probably the best feeling to take away from this one is the storytelling quality of the cartoon paired with Bryan Singer’s unparalleled handling of what is arguably the most successful Marvel franchise over the decades (that may be changing with the unprecedented popularity of The Avengers). While some may describe this movie as a failed attempt at reliving the glory days of the X-Men, I venture to say that there is enough evidence to support this being a strong third movie. As much as I enjoyed the movie–and do not mistake me, I did–there was a LOT going on in this movie and it came close to failing to effectively and successfully tell A complete three-act story. Just like in Batman v Superman, where Warner Bros bit off more than they could chew, 20th Century Fox came close to making the same mistake. Thankfully, the story was just strong enough to drive excitement and thrill through the minds and bodies of the audience. X-Men: Apocalypse is the third movie in the Bryan Singer reboot (fourth installment if you count the original X-Men movie from 2000). The world of Ancient Egypt was once the center of the universe; and in that great empire, there lived the original mutant [Apocalypse] (Oscar Isaac). He grew in strength and power to the point that he ruled the world. After several of his fellow Egyptians betrayed him in attempt to bury him alive, he was cast into a deep sleep hundreds of feel beneath the surface. Due to a dedicated group of followers thousands of years later, Apocalypse was awaken and he has set out to reclaim the planet as his own and raise his children. 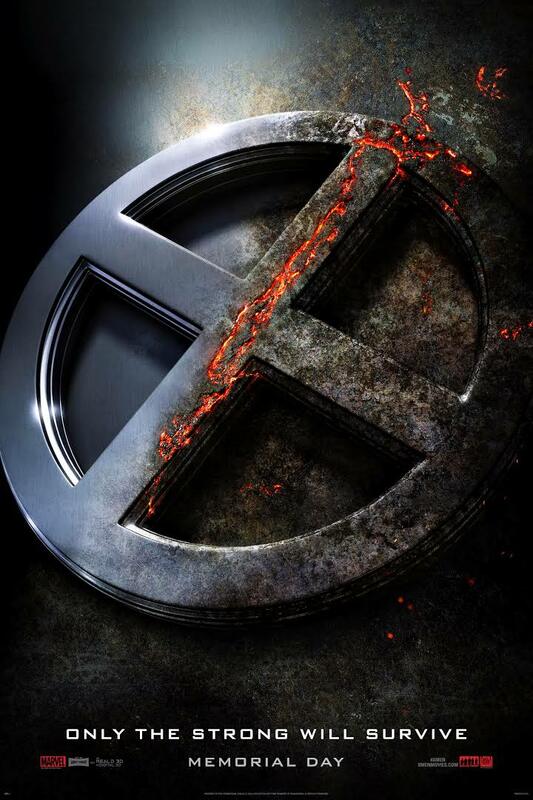 Determined to build his mutant army, he begins to recruit the most powerful X-Men including Storm (Alexandra Shipp). When Professor Xavier (James McAvoy) encounters Apocalypse while in Cerebro and is captured, the still-fractured X-Men must go to great and nearly impossible lengths to rescue him and save the world. Teaming up with new student Scott (Tye Sheridan), Jean Grey (Game of Thrones’ Sophie Turner), and Nightcrawler (Kodi Smit-McPhee), Quicksilver (American Horror Story’s Evan Peters), Mystique (Jennifer Lawrence), Beast (Nicholas Hoult), and Havoc (Lucas Till) will battle Apocalypse and his four horsemen including Storm, Angel (Ben Hardy), Psylocke (Olivia Munn), and Magneto (Michael Fassbender). What a cast! The quality of talent in and of itself is an outstanding accomplishment and is responsible for a great deal of the success of the film. Writers create characters and directors craft them, but it is the actor who ultimately brings the characters to life for the silver screen. Each and every actor is an excellent match to their respective characters. In addition to the actors we have been introduced to in past films, the newcomers quickly cement themselves in this and future movies. With so much material and less than three hours to deliver a movie that could be on par with the previous two and The Avengers films, it was vitally important to have an impressive cast that could win you over instantly. There simply wasn’t time for an actor to grow on you or to decide how you felt about a particular character. Each actor needed to his a homerun as soon as they stepped out of the dugout. I paid close attention to Sophie Turner because I was only familiar with her from Game of Thrones, and I just wasn’t sure how I would feel about her as one of the omega class X-Men (Jean Grey). Oh, I knew she looked the part, but could she pull it off??? And the answer to that is a resounding yes. Much like Captain America: Civil War, X-Men: Apocalypse is nothing short of a superhero extravaganza. And although they are similar in many respects, there are two completely different tones in the respective movies. Are they both serious? Yes, but the former also includes comedic relief sequences and dialog (and yes, if you read my review, I found those to be poorly handled but I am not going to revisit that tarmac scene or the annoying Spider-Man in this article) while the latter retains the serious tone throughout the movie. However, it is successful in not becoming a parody of itself as was the case with Batman v Superman. I will state this: Civil War does boast a dynamic plot that flows smoothly the whole time, whereas Apocalypse flows smoothly most of the time, but at others, it does feel a mite bumpy. We could discuss symptoms of the problems all day, but the root of the problem is simply trying to tell too much story in one movie. To be honest, I have a felling that I am going to decide that I like X-Men more but that is likely because, in all fairness, I grew up with the cartoon. What works for X-Men, much like Captain America, is the fact that the audience does not need to be familiar with the comics in order to enjoy the movie. Singer makes sure that anyone who enjoys high concept comic book superhero action movies will enjoy this film. Well, that is, unless you happen to be a diehard comic book aficionado. This movie is simply exciting and visceral. Memorial Day weekend will either be dominated by powerful mutants or charicatures from the other side of the mirror. Although X-Men will probably not perform as well as Civil War, I don’t think Alice has a chance of topping this quintessential summer blockbuster on the unofficial start to the summer. Unless you live here in Florida where summer started in March. Haha. Speaking of Florida, and in particular Orlando where MegaCon 2016 is being held, knowing that most of the theaters would be filled with cosplayers and enthusiastic fans, I had the challenge of finding a theatre in the area at which to watch the movie and not face cols out auditoriums and nose-bleed seats. I was successful in finding a small privately owned theatre in the vicinity and has the whole thing practically to myself. Running camera for a medical convention, so I am writing from the Rosen Shingle Creek instead of my condo in Tampa. It’s been quite nice to stay on site versus driving an hour here for the event each day. Happy Memorial Day! Great review: I’ve been disheartened by a lot of mixed reviews, because EPIC is the best description of this film. Like you I liked Civil War, but there was scenes where I was just looking at the screen in wonder and asking ‘Wait did they just do that?’ – not being familiar with the source material Ant Man suddenly being the exact opposite of an ant was just bloody stupid. I usually love the MCU films because while they are comic book adaptations, they don’t feel like they’ve come out of a comic – until that moment. That and in a film called Civil War I did actually expect, you know, conflict. Strange that I expected it; god knows why, and I didn’t find it in film. Hawkeye fights Black Widow ‘We’re still friends though, right?’ *screams internally*. I’m a Marvel not a DC Girl, and I love the MCU, but my heart belongs to the X-men and has been since before the films started and Apocalypse is for me just proof the films are getting better and better. Last Stand is the only film in the series I’m unsure about (yes I like Wolverine Origins, but that is because I don’t know about Gambit and I dislike Deadpool intensely so sewing his mouth shut was an improvement in my mind). I absolutely adored this film and the direction they are taking the X-men; I know there have been complaints about them going over old ground, especially in the dialogue between Prof X and Magneto right at the end, but I think that might be from people who have forgotten that Days of Future Past has re-written the timeline. All the films that come after it are now running on an alternative timeline from Wolverine-Origins, the original trilogy and The Wolverine, which have essentially been unwritten. These characters aren’t repeating lines, they are saying them for the first time, and likely as not they won’t be saying them again because the future where the original trilogy and The Wolverine happened has changed. I do have the tendency to go on – I haven’t done a review of my own yet because my life is crazy and writing has been harder than usual recently, but you’re not the only one to have got a long comment from concerning these films. I was disheartened by the reviews I saw before the film, and I was really pleased on finding they were wrong. Another great review and agree with it! I enjoyed this movie. Bryan Singers and the cast did a wonderful job. I love the characters in it. I also like the movie joke after they saw the return of the jedi. I love Oscar Isaac as Apocalypse. Loved how they portrayed Jean Grey in the movie. They finally portrayed her correctly. Hopefully the the future films are going to be good.